The one medical article that gave me hope concerning Alzheimer’s. You are here: Home / health tips / The one medical article that gave me hope concerning Alzheimer’s. Let me share one medical article that gave me hope concerning Alzheimer’s. With Alzheimer’s, life is gone long before death arrives. I watched my mother-in-law go through the three stages of Alzheimer’s over a fifteen-year period. It was a devastating encounter to observe. One day, I read an article that explained there were steps anyone could be taking that would markedly decrease our chance of developing Alzheimer’s. I was sitting on the beach in the shade of a casuarina pine tree, reading medical articles on the health of our arteries. Most of the studies centered on the importance of the health of our arteries in the prevention of heart attacks and strokes. In the middle of the stack of reprints I was reading was an article in the Journal of the American Medical Association. 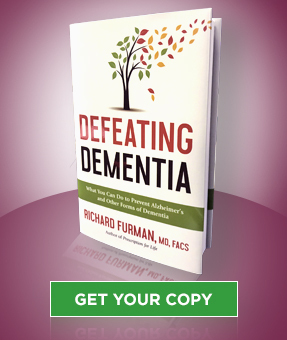 It was a study of the article that inspired me to write Defeating Dementia. It was published in the Journal of the American Medical Association. It reported on a study of 1800 individuals, covering a period of 14 years, who were researched for Alzheimer’s dementia. Each person was studied in terms of what specific foods they ate, what foods they didn’t eat, and how much they exercised. Here’s what the researchers found. The first topic of the study was food. At one end of the scale were the people who ate the most red meat, fried foods, and dairy, which included cheese, butter and cream products. These are the harmful foods containing the highest amounts of the harmful fat that contains saturated fat that causes damage to our arteries. On the other end of the scale were the ones who adhered to the diet rich in fruits, vegetables, high fiber grains and cereals, nuts, fish, and using olive or canola oil rather than oils from animal fats. Researchers concluded that those who ate the healthiest diet had a 40 percent less likelihood of developing Alzheimer’s dementia than those eating the poorest. Remember that number. The second topic was exercise. On one end of the scale were the sedentary people, the couch potatoes. On the opposite end were the ones who exercised the most. The ones who exercised most had a 48 percent lower risk for Alzheimer’s dementia compared to the ones who weren’t active. Remember that number, too. Now for the most exciting part of their report. The ones who did both; the people who exercised the most and ate the healthiest had a 67 percent lower risk of Alzheimer’s. That’s the third number I want you to remember. What I liked most about this article was their statement at conclusion of the study which made a bold declaration of hope for the future steps to fight Alzheimer’s. The conclusion read: “In this study, both higher Mediterranean-type diet adherence and higher physical activity were independently associated with reduced risk for Alzheimer’s Disease.” Exercise and diet are two lifestyle choices you can make to decrease your chances of developing Alzheimers. I reread the article, underlining the numbers 40, 48, and 67. I couldn’t help myself. I got up out of my lounge chair and started showing the article to five or six different couples I knew. Every one of them was astounded. Just like me, they couldn’t believe there was actually something they could be doing that could delay, defer, or even help prevent Alzheimer’s. The next morning, I knew I had gotten my point across to at least one of them. He waved to me and said, “forty, forty-eight, sixty-seven.” That’s all he said. That’s all he had to say. That one article changed my thinking about Alzheimer’s from that day on. I knew right then I must go back to reviewing the medical literature and begin looking up articles written about what can be done to reduce the risk of Alzheimer’s. What I found, especially recently reported studies, was almost shocking to me. 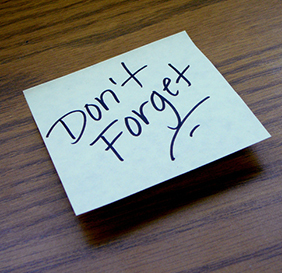 Alzheimer’s is not an unknown entity that happens with no cause and effect. It develops more often in some lifestyles than in others. The good news is that these are lifestyles we all can control.